Home > LABARI > Policewoman who stabbed her Husband explains why she did it. 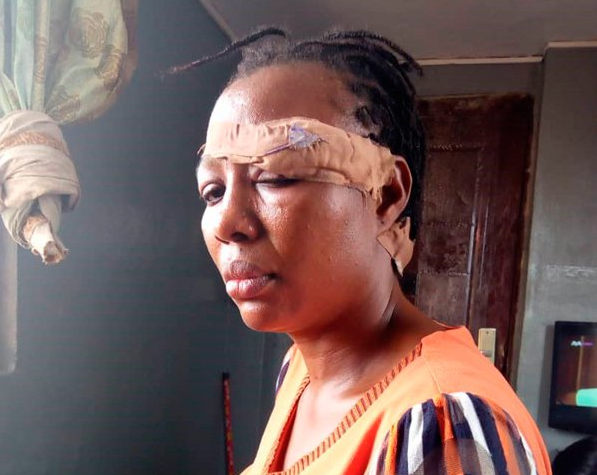 Policewoman who stabbed her Husband explains why she did it. But sources close to the family said the report spreading online was false. According to The Nation, Folake and her husband, Inspector Taiwo, fought on Saturday. The husband was said to have stabbed his wife close to her eye and beside the neck. He also allegedly threatens her with a knife or broken bottle each time he was drunk.